It's important that an SSL Certificate fulfill it's intended purpose. In 2017, Thawte® SSL123 SSL Certificates became distrusted by Google Chrome and other browser vendors, meaning they were no longer able to instill the high level of confidence relied upon. It's now time to replace your Thawte® SSL123 SSL Certificate. Trustico® no longer supports Thawte® SSL123 distrusted SSL Certificates. To ensure the high level of your website security is maintained, we recommended that all affected customers install an alternate SSL Certificates. Trustico® offers free replacement for all existing holders of distrusted Thawte® SSL123 SSL Certificates. If you require urgent assistance please call 0800 300 SSL to speak with a customer service agent. Following the distrust of their SSL Certificates, Symantec® purchased a stake in the DigiCert® Certificate Authority. DigiCert® subsequently ended our partnership, meaning all affected customers must replace their distrusted SSL Certificates as soon as possible. Rest assured, all customers affected by the distrust of their Symantec® SSL Certificate are entitled to a free replacement. Trustico® doesn't collect a fee or request any type of payment when replacing distrusted Symantec® SSL Certificates. Trustico® was among the largest Symantec® partners, which means the distrust of the Symantec® brand has come at great cost and disruption. Customers have asked many questions surrounding the distrust of their Thawte® SSL123 SSL Certificate and the subsequent pending failure and disruption to their website visitors. Unfortunately, Symantec® didn't respond to our requests for specific answers, though they continue to offer newly issued products under the DigiCert® Certificate Authority. Trustico® felt that it was in a position whereby it was unable to trust the offering provided by DigiCert® and subsequently ceased selling Thawte® SSL123 SSL Certificates from the 9th of February 2018. 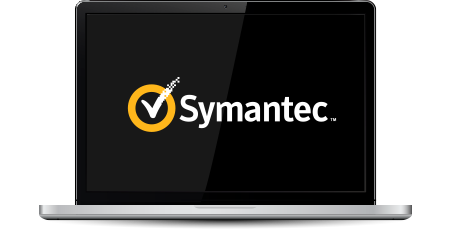 Prior to the termination of our partnership, instigated by DigiCert® on the 26th of February 2018, Symantec® offered relief payments for the purpose of replacing distrusted SSL Certificates. Previous to this, in June 2017, Symantec® funded development of a system whereby Trustico® was to replace, in bulk, distrusted SSL Certificates - for the purpose of submitting reissue orders without the need for customer interaction. Symantec® approved the schematics detailing the process involving the removal of an existing private key and the subsequent generation of a new private key for the purpose of bulk submitting replacement orders. Thoughtfully, Trustico® ultimately chose not to proceed with using the system for its intended purpose. It was subsequently revealed that the generation and storage of private keys was deemed to be a distrustful industry practice. Symantec® at no time advised that it was funding development that could of resulted in Trustico® performing a distrustful act. Trustico® has taken action to ensure it does not generate or store private keys using such methods. Some other providers offer SSL Certificates that don't quite meet the standards of ours. As one of the largest and favorite SSL Certificate retailers globally, Trustico® sets the standard in offering a high quality SSL Certificate service.